I liked the location in the middle of the woods, but still a walking distance (10min) to the nearest village. Very nice and cozy apartment and a friendly host. The apartment was spacious and close to the national park. the gardens were beautiful! Perfect location, the host was very kind and even printed us some parking passes for the national park, free of charge. The property exceeded our expectations. Great quality linen/bedding. Would definitely recommend for anyone seeking tranquil surroundings and trails. Great location in the middle of the forest, close to a wonderful forest playground. Very peaceful environment. The apartment is large and comfortable with a well equipped kitchen and a balcony overlooking the forest and the horses. Lovely quiet hotel in forest setting, very nice apartment, clean and modern. Host was smashing and everything was as expected. Ideal rest in the middle of a touring holiday. 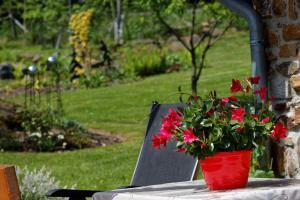 The location is beautiful, appartment was lovely, very clean and very well equipped. 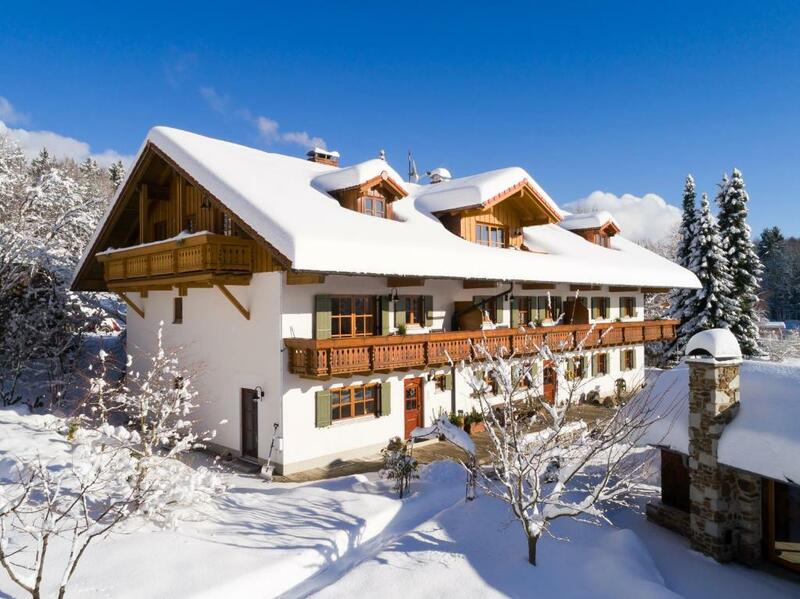 Lock in a great price for Haus Jägerfleck – rated 9.7 by recent guests! 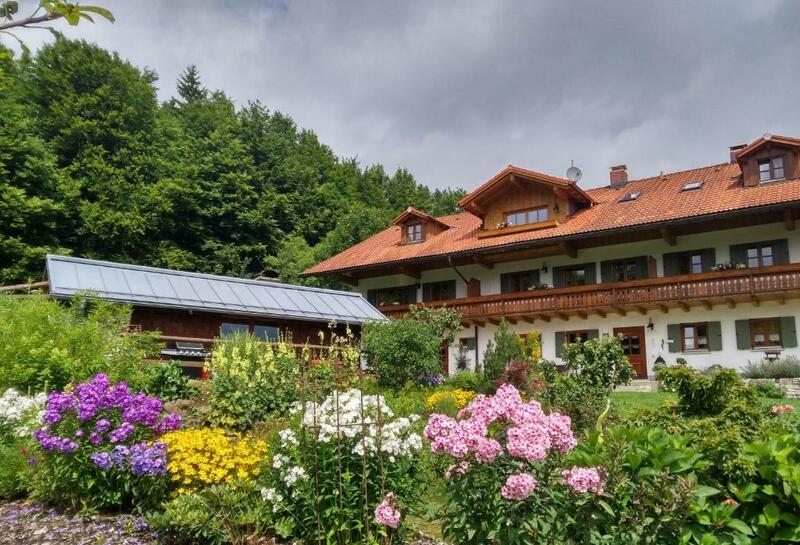 Haus Jägerfleck This rating is a reflection of how the property compares to the industry standard when it comes to price, facilities and services available. It's based on a self-evaluation by the property. Use this rating to help choose your stay! One of our top picks in Spiegelau – and a guest favorite. 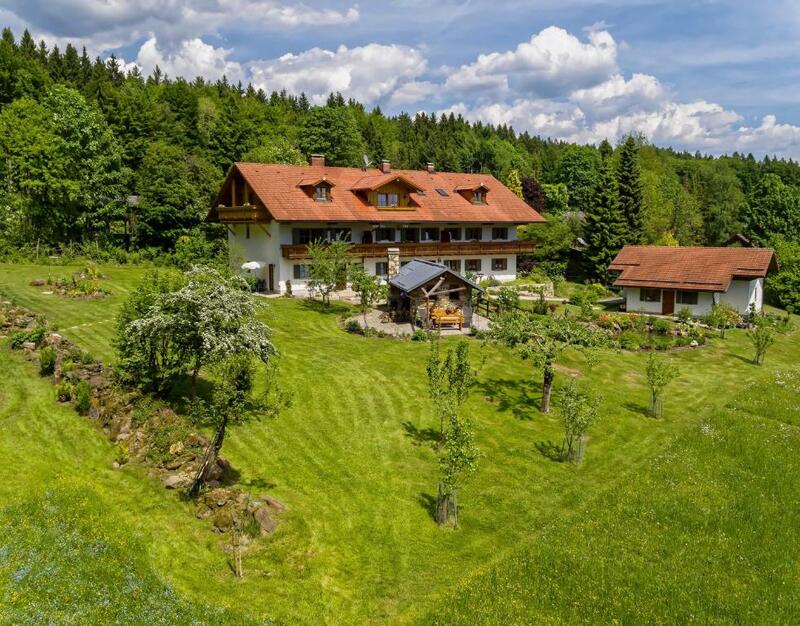 Featuring a sauna and solarium, the traditional Haus Jägerfleck GbR is quietly located on the edge of the Bavarian Forest National Park. Guests enjoy free transfers from Spieglau Train Station, a 7-minute drive away. The bright apartments at Haus Jägerfleck feature country-style interiors and come with satellite TV, a seating area and a bathroom. Each apartment has a kitchen equipped with a stove, dishwasher and dining area. 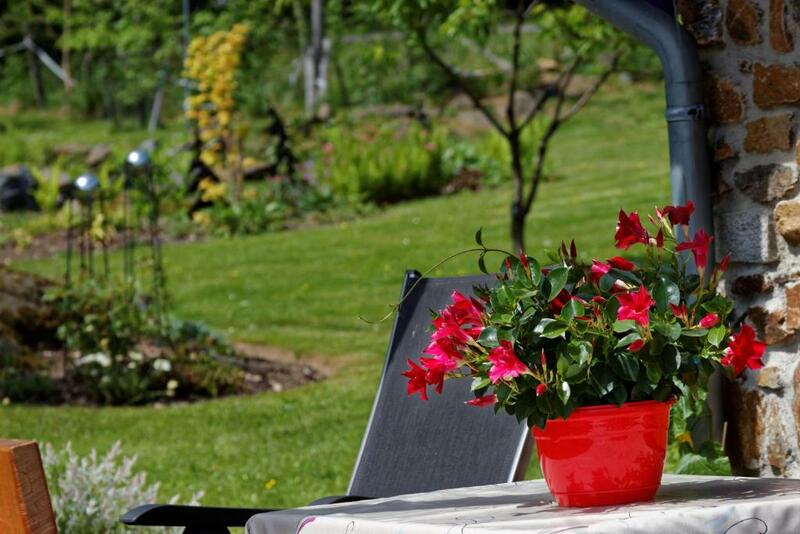 Light snacks are available in the evening, and during the summer months the garden offers barbecue facilities. The A3 motorway can be accessed in 40 minutes, and motorcyclists benefit from free use of the secure garage. Free private parking is available. 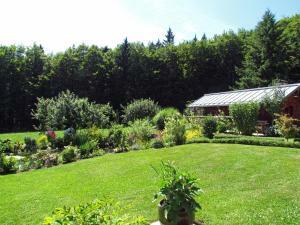 This property also has one of the top-rated locations in Spiegelau! Guests are happier about it compared to other properties in the area. This property is also rated for the best value in Spiegelau! Guests are getting more for their money when compared to other properties in this city. When would you like to stay at Haus Jägerfleck? Country-style apartment featuring a living area with a flat-screen TV and a private balcony with view of the surrounding countryside. The fully-equipped kitchen comes with an oven, refrigerator and a dishwasher. Located on the top floor, this self-contained, country-style apartment features a living area with a flat-screen TV and a kitchen with a dishwasher. Also includes a private balcony with views of the surrounding countryside. Offering views of the Bavarian Forest National Park, this this self-contained, country-style apartment features a living area with a flat-screen TV. This room also has a balcony with view of the surrounding countryside. Also includes a spacious bedroom, a bathroom with bathtub, and a kitchen with a dishwasher. A high chair and baby cot can be provided free of charge. Self-contained, country-style apartment featuring a living area with a flat-screen TV, a bedroom, and a spacious bathroom with 2 sinks. This room also has a balcony with view of the surrounding countryside. The fully-equipped kitchen comes with an oven, refrigerator and a dishwasher. Spacious, self-contained apartment featuring a large terrace which offers direct access to the bedroom and living room. The kitchen comes with a refrigerator, stove and a dishwasher, while the bathroom is fitted with 2 sinks. Located on the ground floor, this self-contained apartment features a bedroom as well as a living room with sofa and flat-screen TV. Also includes a fully equipped kitchen with a dishwasher and coffee maker, and a bathroom with a bathtub and 2 sinks. This spacious, self-contained apartment features a large living room with a flat-screen TV and a fully equipped kitchen with dishwasher. It also offers a bathroom with a bathtub and 2 sinks, and a balcony with view of the surrounding countryside. Our property is located off the mainroad on a secluded area. You'll find a lot of nature and forest. Iff you love the outdoors, you'll be happy here. For shopping experiences, you have to take a car or walk about 20min. Dear Guest, Thanks for choosing House Jaegerfleck. You'll find a very comfortable and well maintained apartment. Admire our garden where I spend lots of time to take care of them. I'm very friendly and love to have you here. If you love hiking and the outdoors, than you're at the right place. There are plenty of well marked trails through the National Park, only steps from the proeprty. You'll like the more gentle hills and well prepared paths. The winters are usually full of snow and you can X-country right from the the property. If you like uphill skiing, there are a few skiareas in the neighbourhood. I find it really nice here, because we're a bit off the main track. It's quiet and relaxed here. House Rules Haus Jägerfleck takes special requests – add in the next step! Haus Jägerfleck accepts these cards and reserves the right to temporarily hold an amount prior to arrival. Since its distance from town a public selfservice bar with snacks and bottled drinks would help in the evening. Pricing was not really transparent (extra 8 Euro per child per night was not on the calculation received, so just realised it at the checkout). Also there was no vegan breakfast option even though it was advertised. It was not a big deal, but we had high expectations based on the review score. They should put one big mattress for double bed. Not 2 mattresses for double bed. We didnt sleep good because we felt the gap of the bed in the middle while moving. Absolutely spotless apartment and amazing owner! Annette was so pleasant and friendly! May be a little too isolated and quiet for some. Speigalau itself seemed half shut, so not a great choice of places to eat.